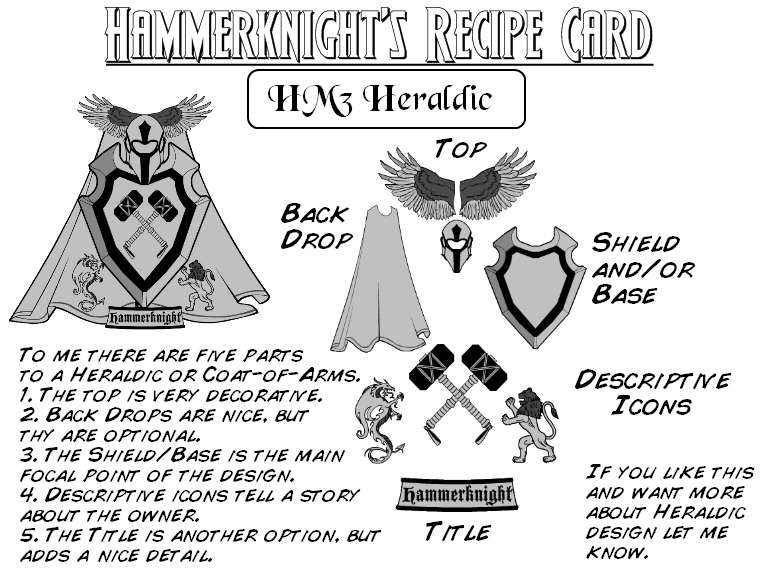 Hammerknight really stepped up to the plate for us and sent in another great recipe card, this time on how to do heraldic designs in HeroMachine 3. I am still without internet access in Colorado so had to sneak out to the library to post this. Thanks Hammerknight, you are a stud! If you have comments for HK by all means let him know, and if you have questions or remarks about any other "how to" questions let 'em rip. It would make a cool contest, but I was going more for helping people understand heraldic more. Most of the information you find can be hard to understand, so I’m trying to put it in my own words. What if we had a recipe contest? That might be pretty cool. Your usual outstanding work, Hammerknight! Well done, sir! This opens up a lot of options for custom backgrounds, especially with medieval or fantasy type characters. 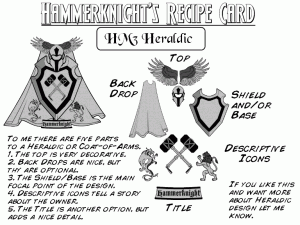 If there was a recipe contest, Hammerknight or MartianBlue would win it easily.